Principal Global Investors (Australia) Limited (‘PGI Australia’) is the appointed investment manager of the Principal Global Credit Fund (‘Fund’) and has delegated the investment management of the Fund to Principal Global Investors LLC. 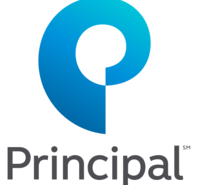 PGI Australia and Principal Global Investors LLC are part of Principal Global Investors, the global investment management business of the Principal Financial Group. With operations in the United States, Europe, Asia and Australia, Principal Global Investors draws on the expertise of investment professionals around the world. The Fund’s investments are selected and managed by Principal Global Investors’ specialist fixed income team – Principal Global Fixed Income. The team has expertise in the integrated management of traditional and alternative fixed income sectors worldwide. Principal Global Investors’ investment capabilities are extensive, encompassing real estate, fixed income and equity investments, as well as specialised overlay and advisory services.